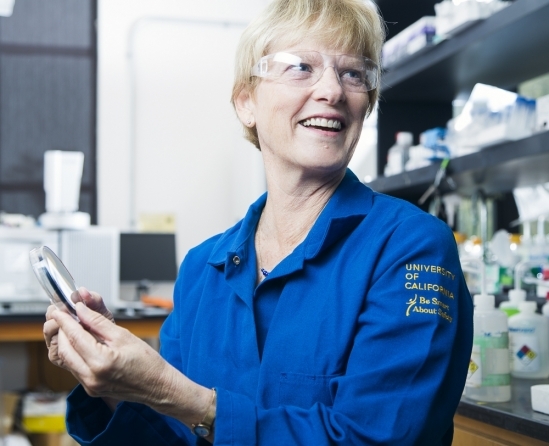 The Department congratulates Professor Alison Butler for being named a 2019 Arthur C. Cope Scholar by the American Chemical Society (ACS)! The Arthur C. Cope Scholar Award is a National Award from the ACS and is awarded to recognize and encourage excellence in organic chemistry. Prof. Butler will deliver an awards address at the Arthur C. Cope Symposium, which is held at the Fall National ACS meeting, in San Diego in 2019. Prof. Butler will also be invited to make a presentation at an ACS regional meeting during the coming year.